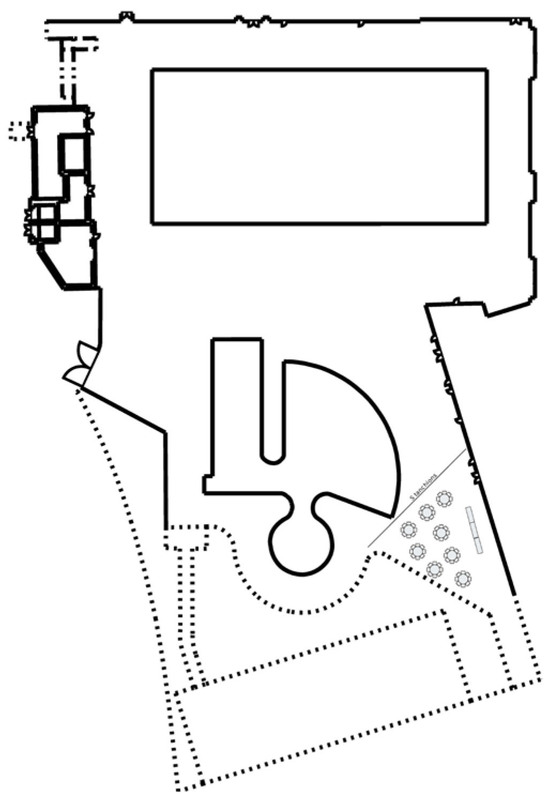 To request use of a space, complete an E-Plan. If your event is approved, you may be contacted by ASI Event Managment who will work with you on setting up the space for your event. *Costs vary. See the Cal Poly ASI Rate Sheet for details. 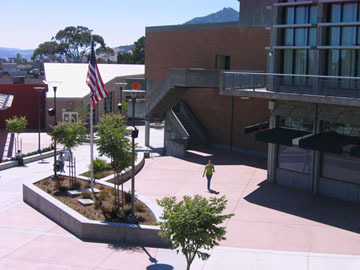 View University Union location on Cal Poly map. Great for banquets, guest speakers, movies. 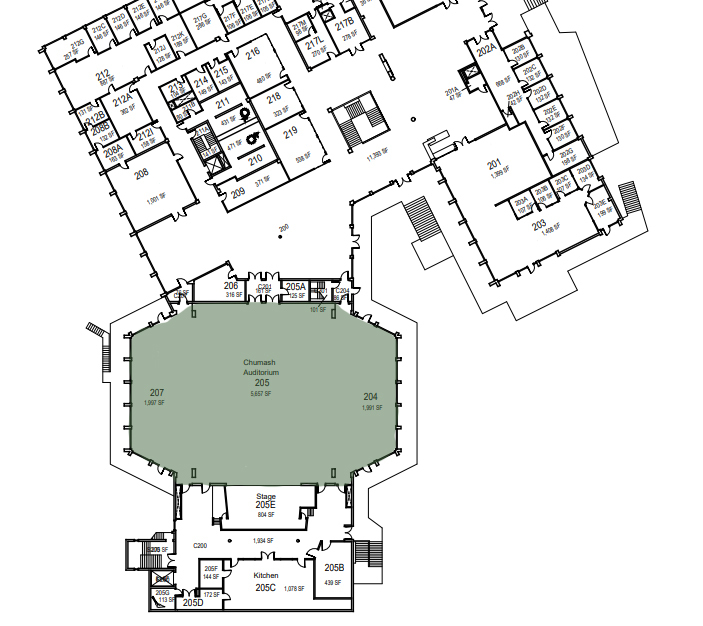 You can reserve all of Chumash Auditorium or just part. The room wings can be separated by removable walls. 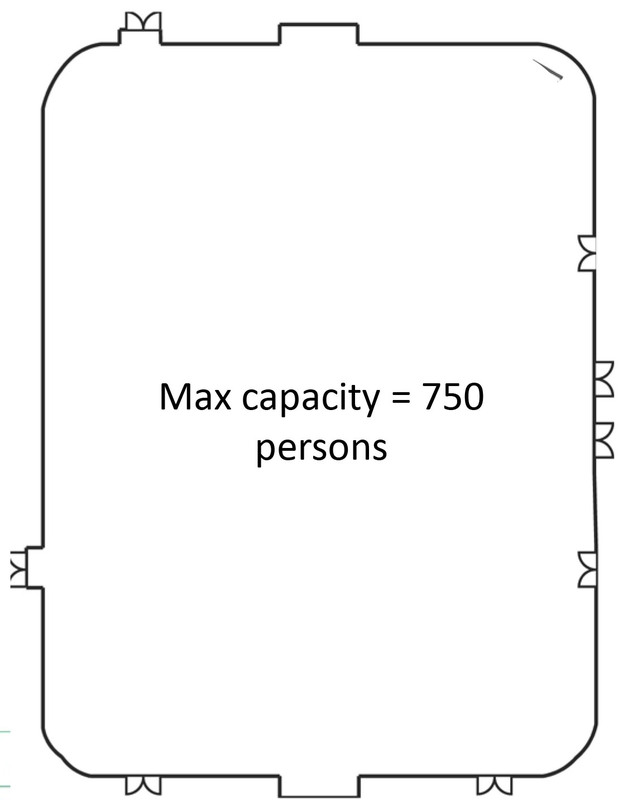 Due to noise, two separate groups cannot share a removable wall. For instance, two organizations can be in two different wings as long as no one is using the center. This provides two walls for insulation. However, one group may not use the center while another uses a wing. We've found one removable wall does not provide enough noise insulation. Audio: Have your music playlist ready on your smartphone or use your laptop. An audio cable can plug into your device to play over the sound system. Microphones: Wired or wireless available. Two microphones are included, additional microphones are available at an additional cost. 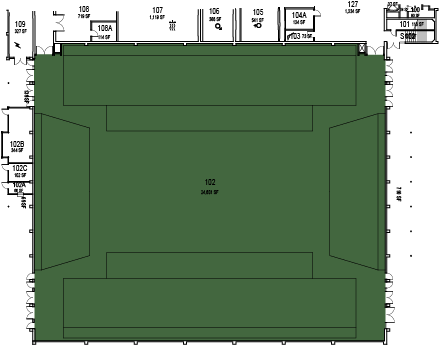 Large Screen: the large screen can be lowered in front of the stage, making the screen closer, but making the stage unavailable. 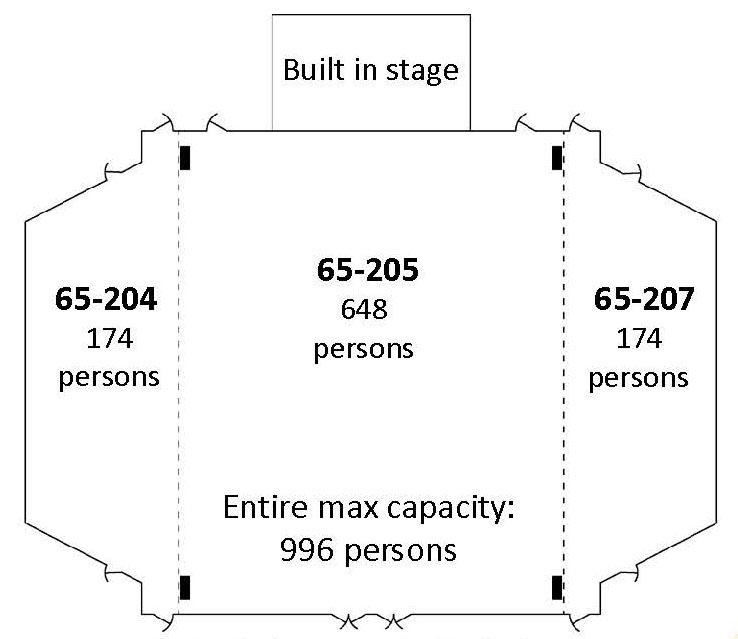 If your group still wants the use of a stage with the large screen, you can request risers at an additional cost. Smaller Screen: There is a smaller screen which can be lowered behind the stage. Standard lighting, including house LED lights, is included. Special lighting is available for an additional cost. An example of special lighting is if your group desires that the area illuminated by the spot lights on stage to be adjusted, this requires additional labor costs. Microphones are available upon request. However, most agree that you do not need microphones to be heard in this room. Tables available: 5' rectangular tables only. 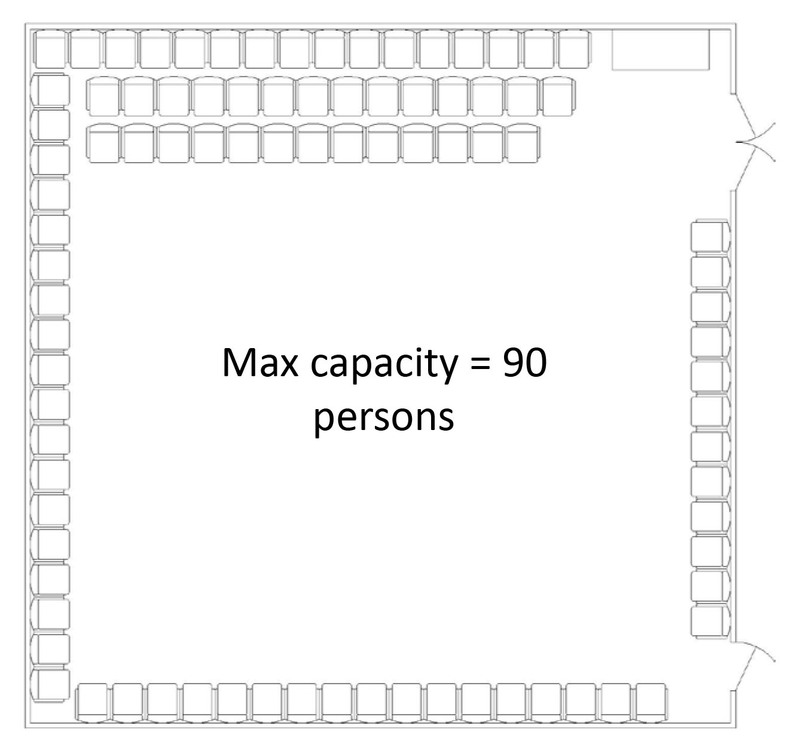 Chairs must stay in the room. Great for fairs and outdoor concerts. 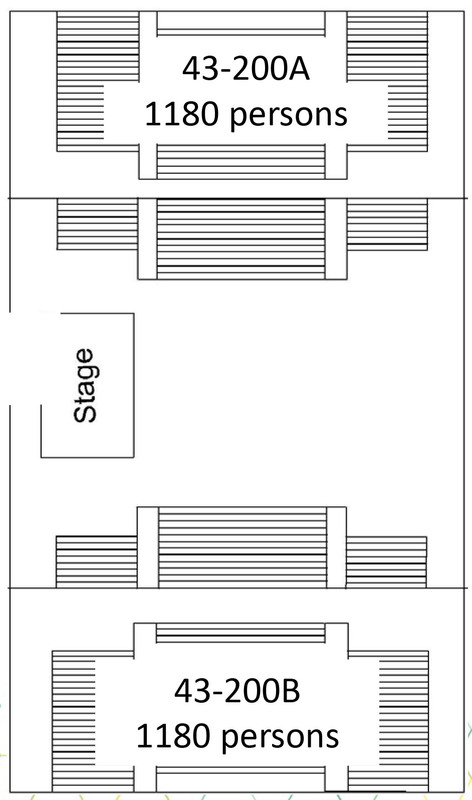 Stage has two built in speakers. Portable A/V equipment is available at an additional cost. 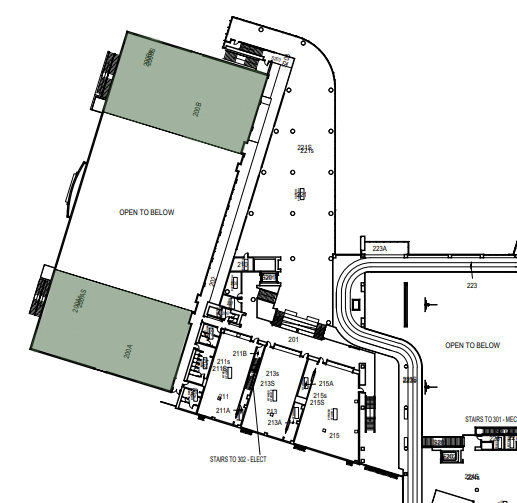 Clubs can reserve individual booth spaces via the E-Plan. These are depicted on the illustration by the black squares at the top and bottom of the Marketplace (yellow area). 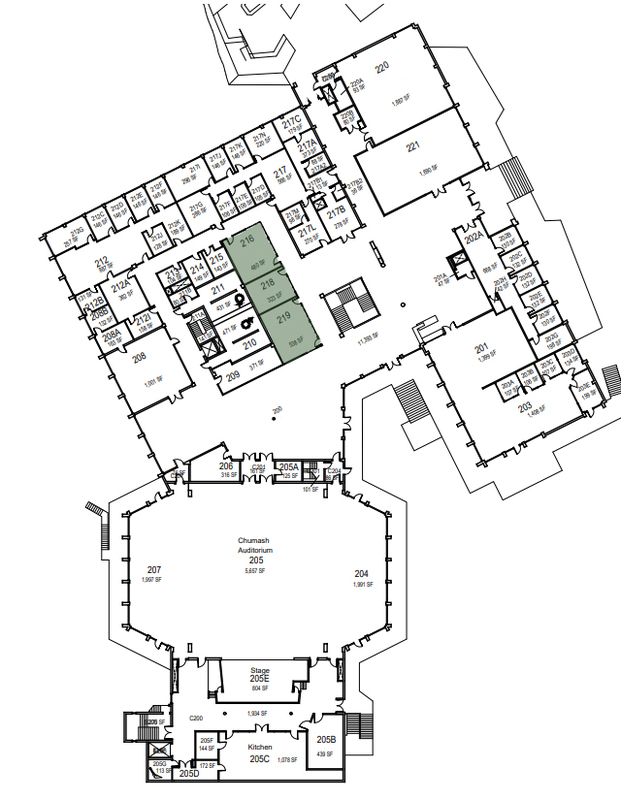 ASI will setup a folding table and two chairs for a booth space. ASI does not provide tents, enclosures, or tablecloths. 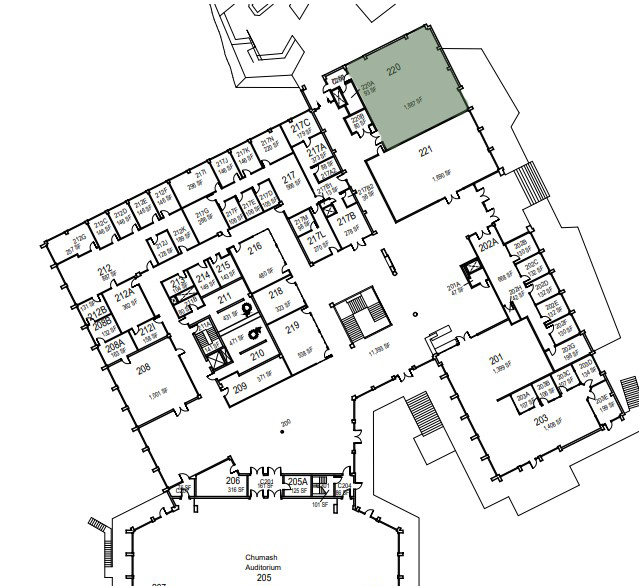 San Luis Lounge, Chandler Lounge, and the UU Lobby are intended as study spaces and are not recommended for reservation. 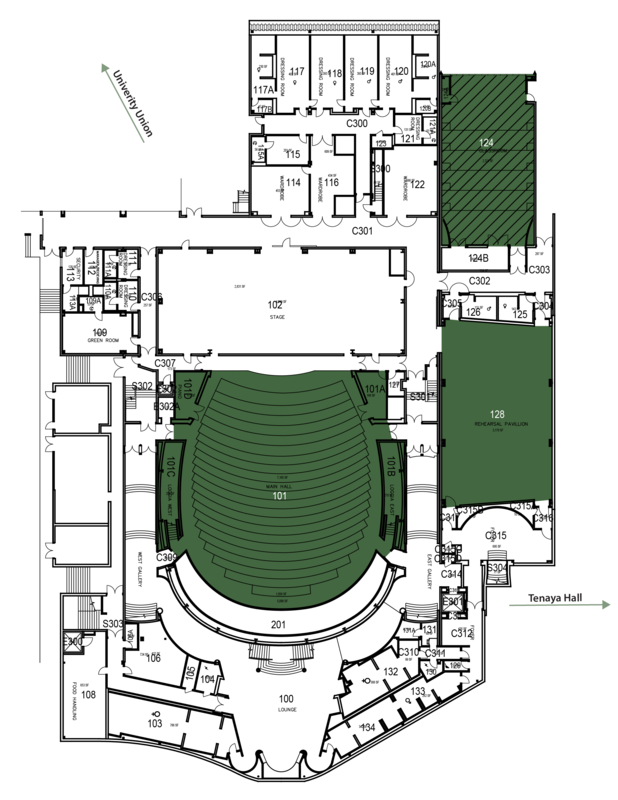 Include access to main gym lobby. Limited tables and chairs available. 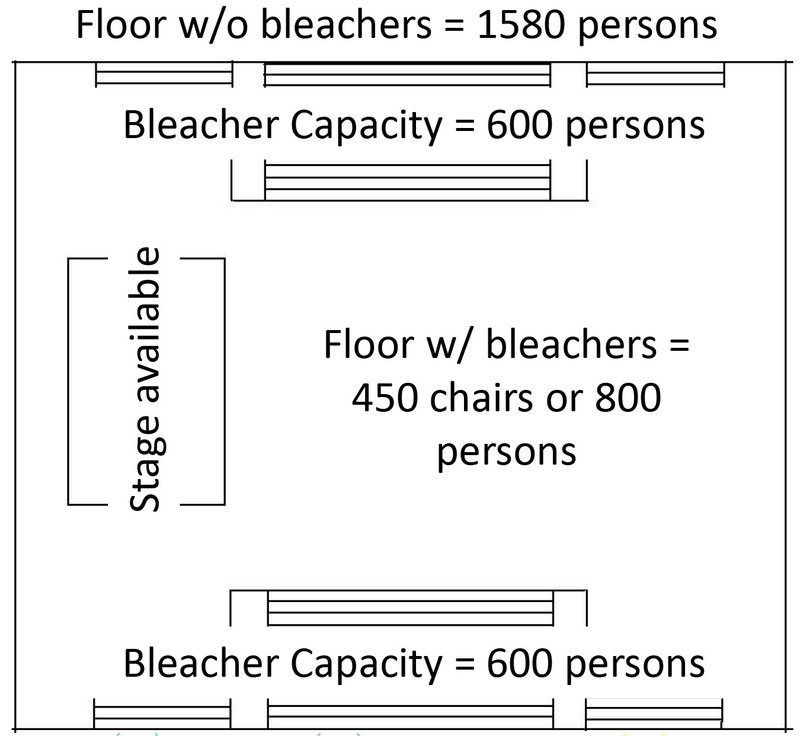 Great for adding bleachers to main gym event or for separate sporting events. Special lighting is available for an additional cost. No food outside of BBQ area. Portable A/V equipment available at an additional cost. 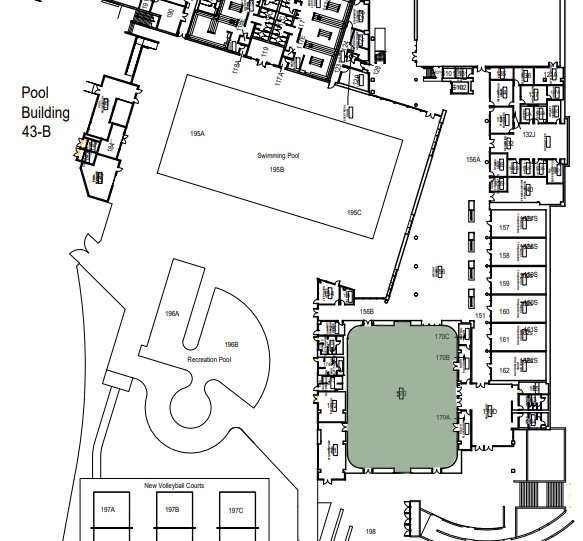 Can only reserve 2 of 3 volleyball courts. 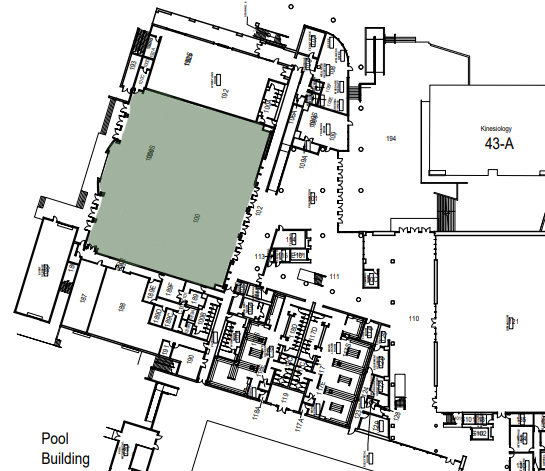 The pool is not available for reservation during the academic fall, winter, and spring quarters. NOTE: the hallway between Phillips Hall and the Pavilion is occasionally used as a catering staging area. You will be notified in advance if it will be in use. Take advantage of using space in the residence halls (dorms) and campus apartments for meetings and events. Although you can't reserve space using an E-Plan this academic year (2017-18), you can reach out to University Housing to check on availability and request a space. See a map of University Housing locations (pdf).